We should all have such strength of conviction in regards to our actions under fire. 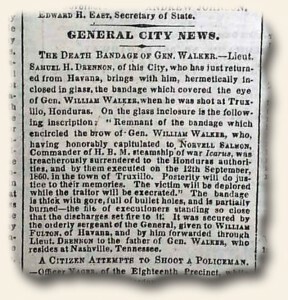 A short time ago I came across a letter from him which was printed in a National Intelligencer dated January 27, 1865 that may rival the above. 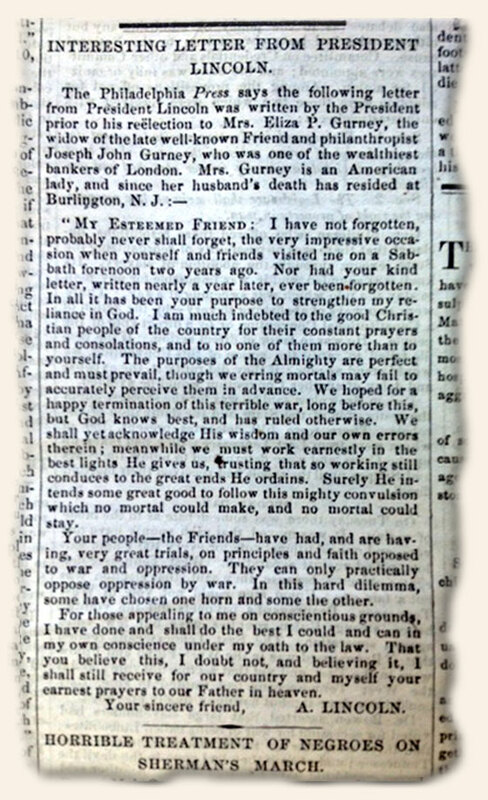 It is his response to a letter received from him from Eliza Gurney, the wife of a recently departed friend. 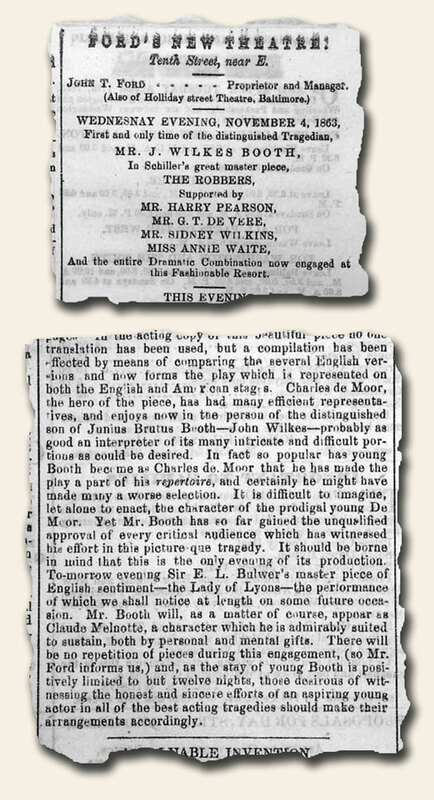 The full text is viewable via the image shown below, with the transcribed text to follow. I have not forgotten–probably never shall forget–the very impressive occasion when yourself and friends visited me on a Sabbath forenoon two years ago. Nor has your kind letter, written nearly a year later, ever been forgotten. In all, it has been your purpose to strengthen my reliance on God. I am much indebted to the good Christian people of the country for their constant prayers and consolations; and to no one of them, more than to yourself. The purposes of the Almighty are perfect, and must prevail, though we erring mortals may fail to accurately perceive them in advance. We hoped for a happy termination of this terrible war long before this; but God knows best, and has ruled otherwise. We shall yet acknowledge His wisdom and our own error therein. Meanwhile we must work earnestly in the best light He gives us, trusting that so working still conduces to the great ends He ordains. Surely He intends some great good to follow this mighty convulsion, which no mortal could make, and no mortal could stay. Your people–the Friends–have had, and are having, a very great trial. On principle, and faith, opposed to both war and oppression, they can only practically oppose oppression by war. In this hard dilemma, some have chosen one horn, and some the other. For those appealing to me on conscientious grounds, I have done, and shall do, the best I could and can, in my own conscience, under my oath to the law. That you believe this I doubt not; and believing it, I shall still receive, for our country and myself, your earnest prayers to our Father in heaven. 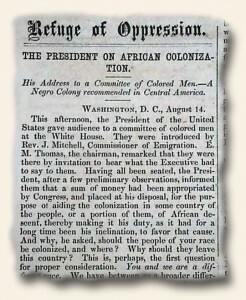 I traveled today to New York City by way of The New York Times dated February 1, 1864. 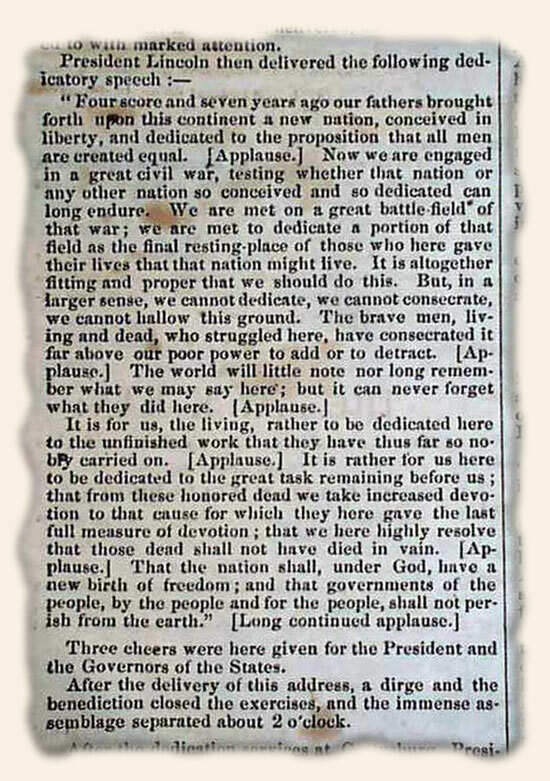 There I found that President Lincoln had just “Ordered, that a draft for five hundred thousand men, to serve for three years or during the war, be made on the 10th day of March next, for the military service of the Untied States, crediting and deducting therefrom so many as may have been enlisted or drafted into the service prior to the 1st day of March, and not heretofore credited.” This is signed in type: ABRAHAM LINCOLN. 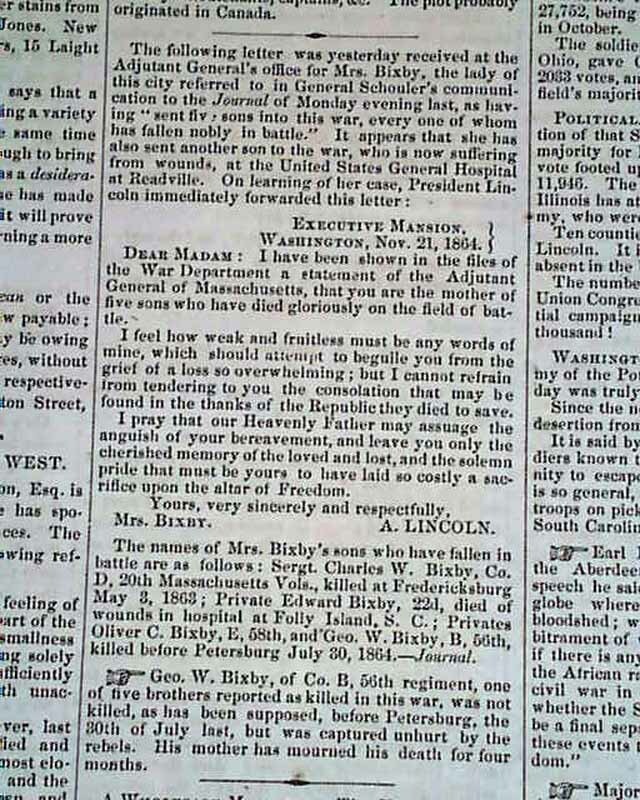 The photo shows the report in the December 2, 1864 issue of “The Liberator” of Lincoln’s very famous & heart-felt letter to a woman who lost five sons in the Civil War. A very sobering report which gives one a small sense of the horror of war not just on the battlefield, but at home as well. 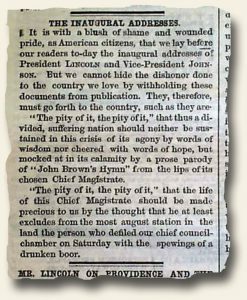 This letter has been praised by many as among Lincoln’s best works of writing, along with the Gettysburg Address and second inaugural address. The character of Abraham Lincoln, which has made him arguably the best President of the United States, has been the subject of many books. 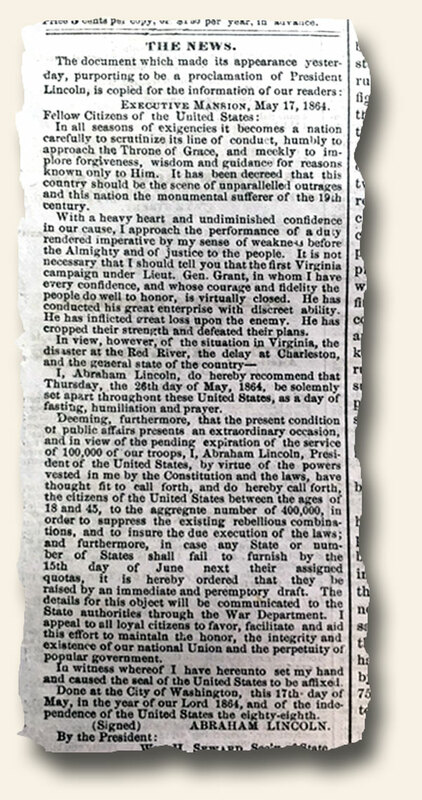 One bit of evidence can be found in the September 5, 1863 issue of the “Army & Navy Journal” which contains a famous letter to General U.S. Grant (see below). 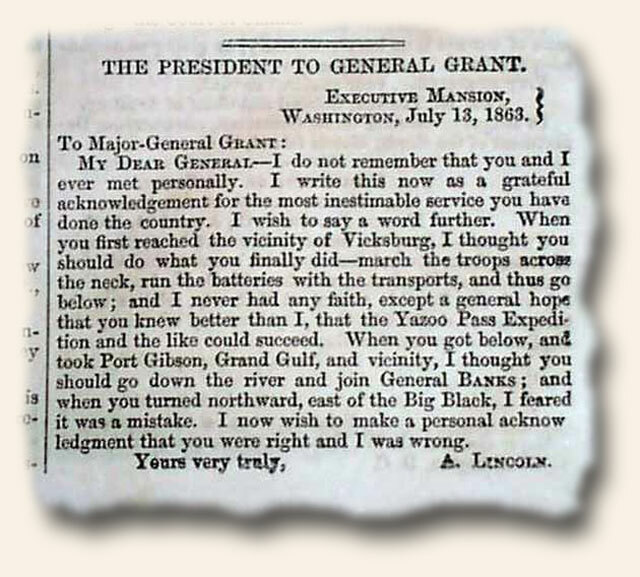 In this remarkable letter, President Abraham Lincoln congratulates General Grant for an important victory — the capture of Vicksburg, Mississippi, on July 4, 1863. 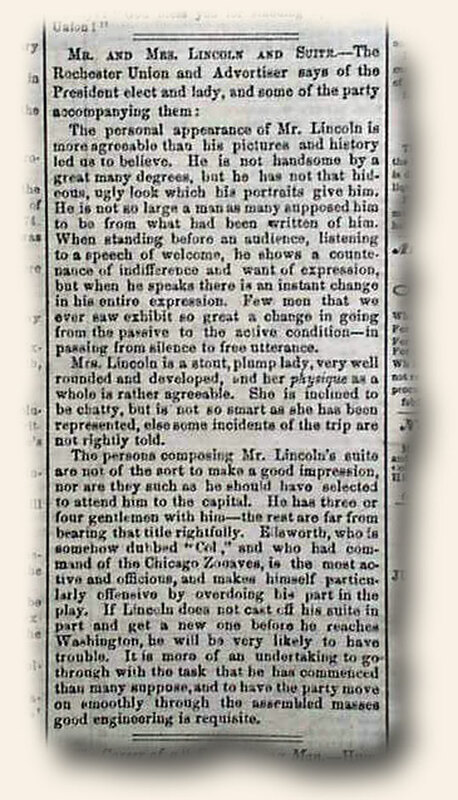 Lincoln differed with Grant about how to handle the campaign, but when Grant pursued his own strategy successfully, Lincoln frankly admitted that Grant was right.